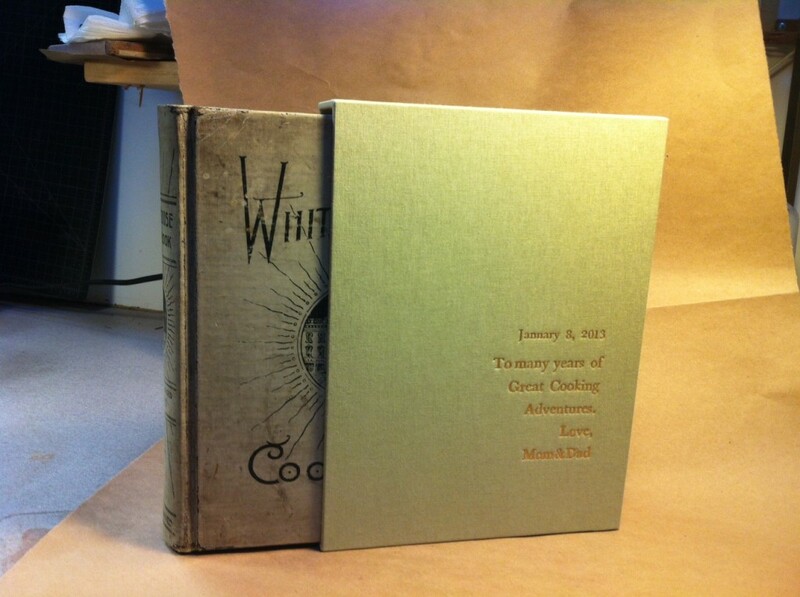 I custom-made this slipcase to fit a cookbook. 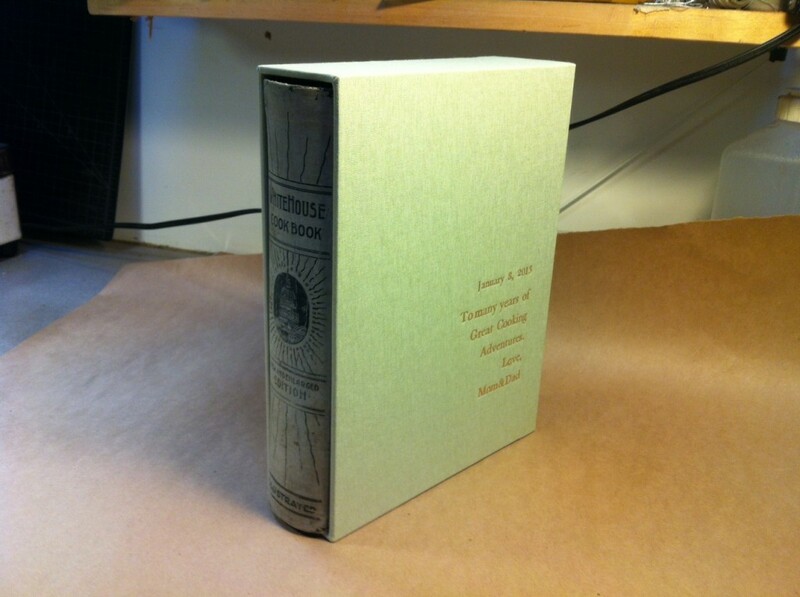 (The book also needed repair: a new spine lining and some mending on the original cover.) The color of the cloth was meant to match the color of the book. Since the book was slated to be a birthday gift, I stamped the date and message onto the box using gold foil.